With the access to the internet becoming easier, developments in the technology, and number of mobile users increasing worldwide, the mobile apps too have become widespread quite rapidly. 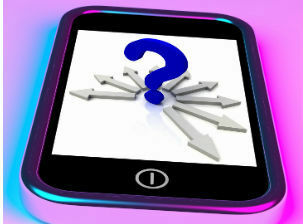 Here you will read more detail discussion about mobile app development questionnaire. Successful apps, which make the lives of their users easier, entertain them, and present various advantages to them, have also become channels through which the companies can form much stronger relations with their target audiences. You need to be careful about some points in order to create successful apps that strengthen the connection with the target audience, provide opportunities for promotion and advertising, and create an income. Therefore, you may end up better by already answering some important questions when creating the app, rather than trying to salvage an unimpressive app. Here are the important questions that you need to answer before you make your own app. 1- Is your purpose defined? While it may look like a simple one, the first question you need to ask for the new app you will create is highly important for you to chart the course you will need to follow. Are you thinking to create an app for an existing part of your business, or are you going to provide a whole new service? What kind of success is it that you might be planning for this app? The answer you will have with evaluating these may lead you to move ahead much faster. 2- How will your app look? Visual aspects of an app is a highly important element for it be able to impress people. You may have a design and visuality shaped in your mind already from the beginning, or you may not have a clue about it. At that point, you can think of the apps you like and find out what kind of an app could draw attention. Having an idea about at least the general looks of your app before beginning its creation can make the rest of your work much quicker. For example, investigating a little bit on, what may its menu contain, its colors and icons can be highly beneficial. 3- Will your app be free? Will the app you will present to users be completely free of charge, or will it have sections with different usage advantages that are subject to a fee? Perhaps it makes more sense to make the app itself a paid one? The answer you will have to this question too can be a guide for you on many details when creating your app and for your marketing strategies after creating it. 4- Which operating system will you use? What platform you aim your app for is a highly important aspect. iOS, Android, or all of them? When answering this question, being sure of having your target audience thoroughly analyzed is very important for taking the right decision. To this end, you can inspect the analytics of your website. Of course, targeting all operating systems and yielding an efficient result on each platform, is the best option for reaching the maximum number of users possible. 5- What is your future goal with your app? Creating your app and publishing it on the stores doesn’t mean the end of it all. It is also highly important to chart a roadmap with various strategies for ensuring that your app will meet its target audience. Because however beneficial, powerful and of high quality your app may be, if it can’t reach to the users, it is impossible for it to be successful. You can also begin with asking these mobile app development questionnaire to yourself before you create an app. We, as MobiRoller, provide you with all kinds of professional support for creating the most efficient app. You too can start creating your app with MobiRoller right away, to make mileage quickly on this path.